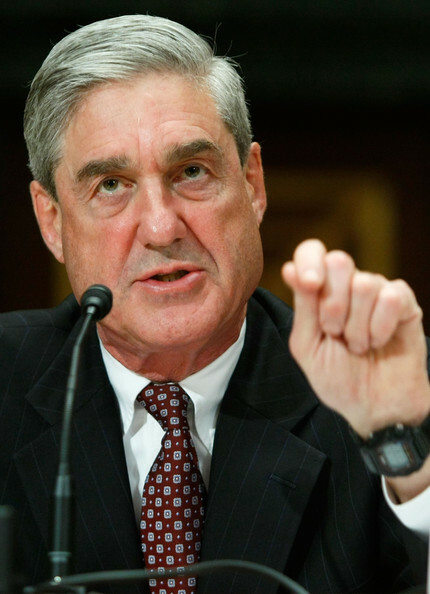 In the blockbuster news we’ve grown accustomed to hearing nightly for the last two weeks, the Department of Justice announced that Deputy Attorney General Rod Rosenstein had appointed a special counsel, former FBI Director Robert Mueller, to investigate Russian connections with members of the Trump campaign. Rosenstein is acting under authority granted by the recusal of Attorney General Jeff Sessions in this investigation. Rosenstein apparently gave the White House no heads up on the decision; he stated in his letter, “I determined that it is in the public interest for me to exercise my authorities and appoint a special counsel to assume responsibility for this matter. My decision is not a finding that crimes have been committed or that any prosecution is warranted. I have made no such determination… If the Special Counsel believes it is necessary and appropriate, the special counsel is authorized to prosecute federal crimes arising from the investigation of these matters." Here are seven things you need to know. 1. This Never Would Have Happened If Not For The Comey Firing. Trump’s firing of FBI director James Comey not only got rid of the person leading the investigation into Russian election meddling, it elevated Rosenstein to a position of prominence in the Trump administration — Trump requested a memo from Rosenstein recommending Comey’s firing. Now Rosenstein has used that platform and authority to recommend a special counsel. 2. The Special Counsel Has To Update Nobody. Unlike a member of the DOJ, a special counsel has no requirement to tell the Attorney General or anyone else in the Department of Justice about the progress of the investigation. Trump can still fire the special counsel, but doing so would obviously create a serious scandal. Find out the other 4 things you need to know HERE.